Dr. Mulvey is an Assistant Professor of Marketing at the University of Ottawa’s Telfer School of Management (2003-present). Previously, he held research and teaching positions at Rutgers, The State University of New Jersey (1996-2002) and Penn State University (1993-1996). He has also served as a visiting professor at Rutgers Business School (2005-06) and the Bucharest School of Management (2006-2010). At Rutgers, Dr. Mulvey was named GE Teaching Fellow in 2000 for his innovative use of technology in the classroom and he was a three-time finalist for the Paul Nadler Award for Teaching Excellence and a finalist for the Thomas H. Mott Teaching Excellence Award. He was nominated for TVO’s 2010 Best Lecturer Competition and was a finalist for the University of Ottawa Award for Excellence in Teaching in 2009-10 and 2010-11. Dr. Mulvey’s research focuses on how products, brands and behaviours gain personal relevance to consumers. He is an expert in using qualitative research methods such as metaphor elicitation, means-end theory and the laddering technique to uncover how customers think. His recent research examines branding and positioning strategy, advertising design and testing, and perceived value and consumer choice. 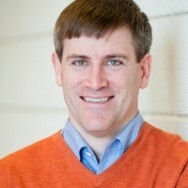 Dr. Mulvey’s articles have been published in journals including The Journal of Retailing, The Journal of Public Policy and Marketing, International Journal of Research in Marketing, Advances in Consumer Research, Journal of Leisure Research, NMIMS Management Review, Qualitative Market Research, and Innovative Marketing. He has presented his work at many international conferences and often shares his expertise as a commentator in the media. Dr. Mulvey has provided marketing consultation and expert witness services to clients in the financial services, tourism, consumer-packaged goods, retail, and not-for-profit industry segments. Past clients include Bank of America, Corporation for Public Broadcasting, Harrah’s Casino, Hilton Hotels, Motorola, New York State, Panasonic, ShopRite Supermarkets, Toyota, and United Way. He has also provided expert testimony to the Ontario Superior Court of Justice, Superior Court of Quebec, Federal Court of Canada and Competition Bureau Canada regarding brand confusion, trademark infringement and price deception.